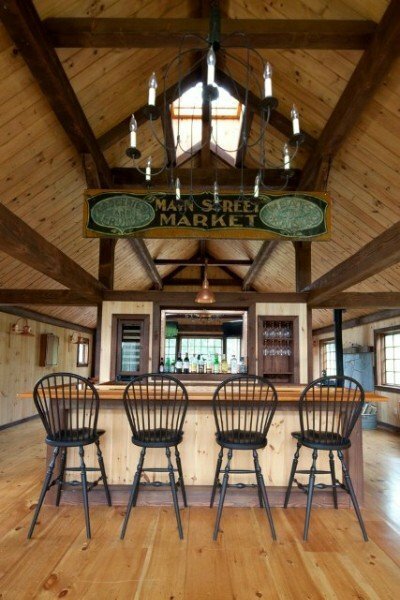 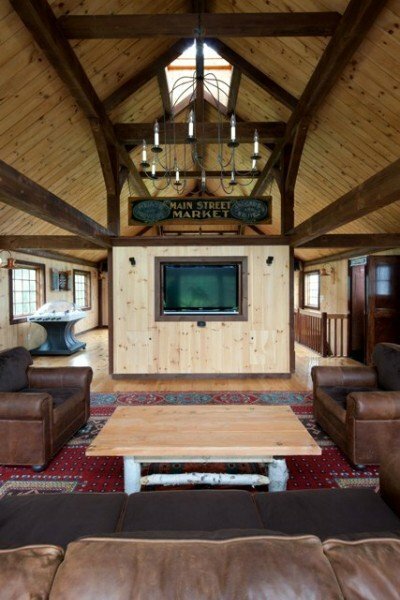 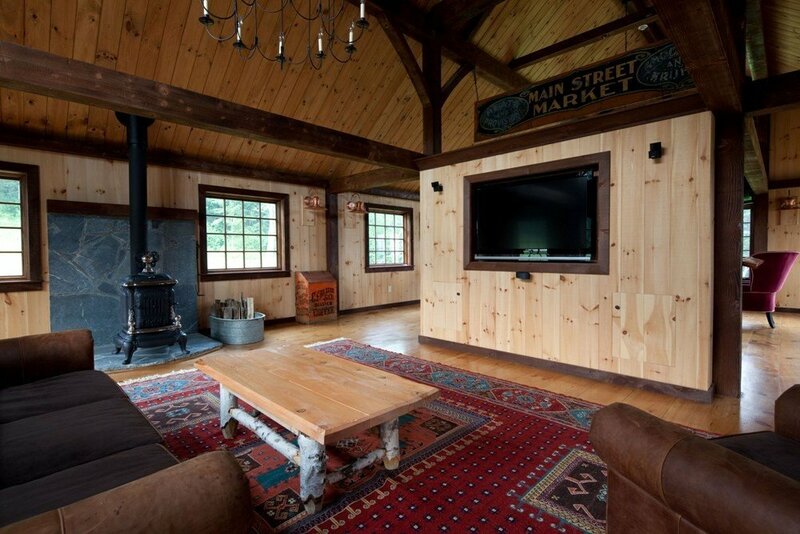 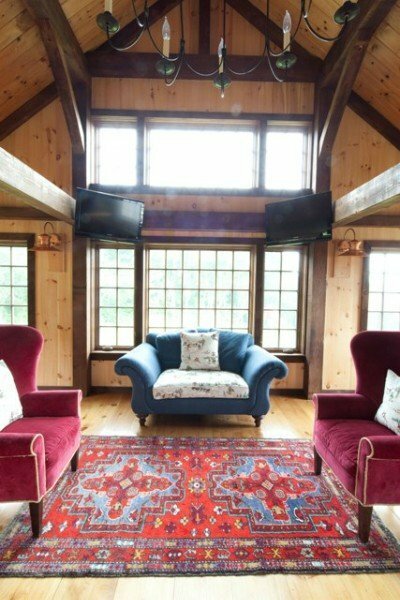 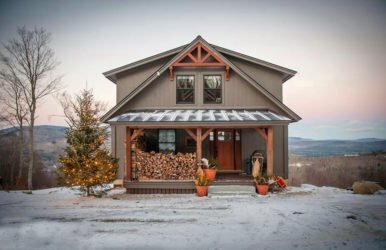 This carriage house design is 1,185 square feet of post and beam living space designed entirely as a gathering place for family and friends. 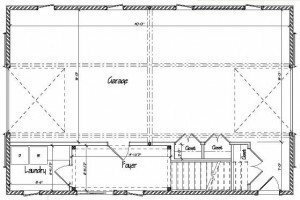 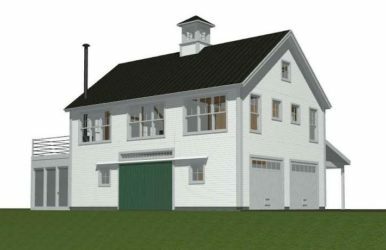 Situated at right angles from the existing house, the Eaton Carriage House provides garage storage below with a large open “man cave” party room above. 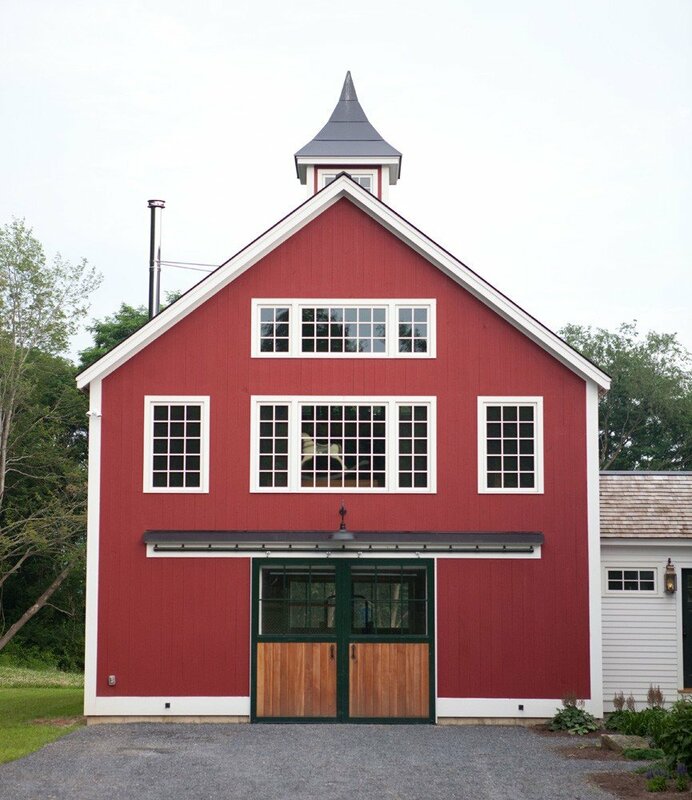 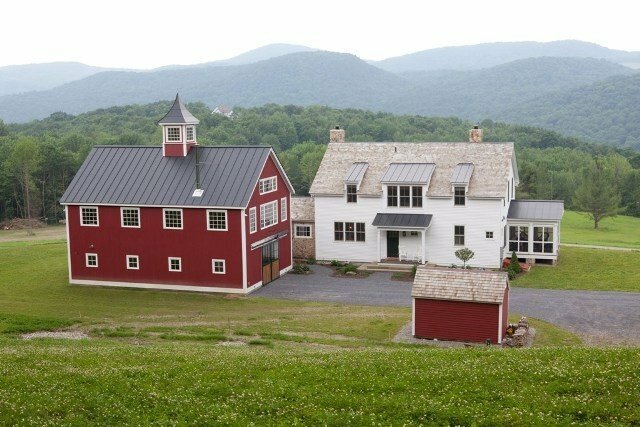 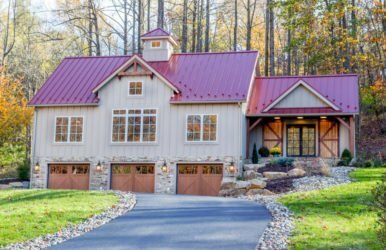 The arched cupola provides light and ventilation to the upper loft floor and the sliding barn doors cover the overhead garage doors, completing the carriage style look for this addition. 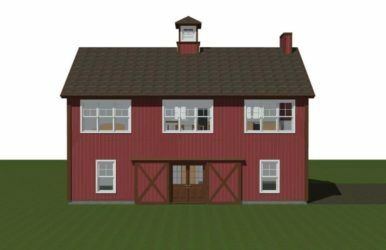 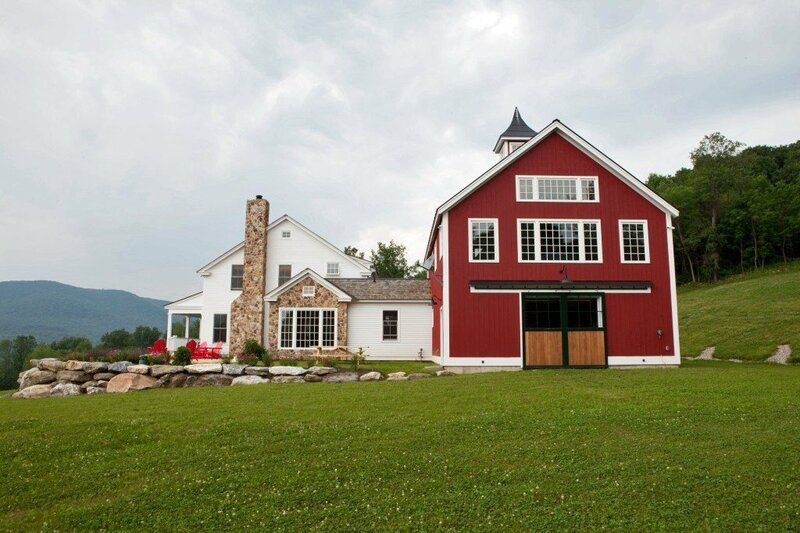 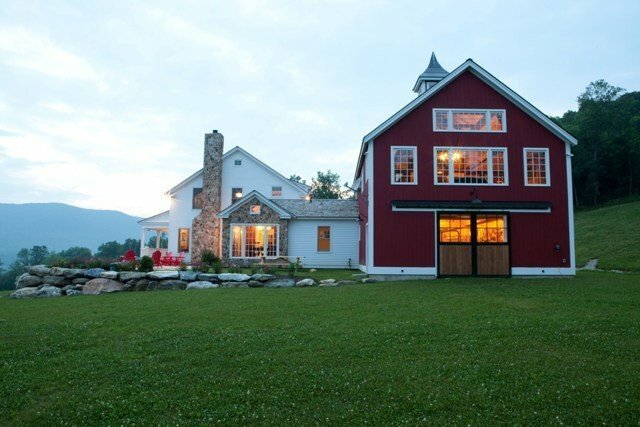 The carriage house style blends with in the farmhouse completely, as if it had always been there.